It is an inconvenient truth for marketers that we are living in an age of distraction. Researchers and commentators regularly bemoan the fact that people have lost the capacity to concentrate due to the distracting technology available. In 2015, a survey of Canadian media consumption by Microsoft concluded that the widespread usage of smartphones has led to the deterioration of attention spans from 12 seconds in the year 2000 to eight seconds today. Chances are you’re either reading this on your phone, near your phone, or have reflexively already reached for your phone. That means the other inconvenient truth faced by marketers is that blog content needs to be extremely high quality if it’s going to hold a reader’s attention. Choosing a timely and relevant topic isn’t enough – marketers also need to choose the most suitable format for their blog content to make it stand out. So let’s cut to the chase: what is the best performing blog post format if your aim is to attract and convert the most readers possible? Steady on there. The bad news is there’s no ‘best’ format. Many blogs, like this one, will actually be a culmination of different formats. The good news is that by coming to grips with the three main formats, you can establish the best choice for your readers. You don’t even have to poll them about their preferences. You can simply dig into your performance metrics. That’s what I did. I dug into the hard data of my agency Struto’s blog on 7 Wildly Popular Blog Post Formats and used it to construct my own list based on B2B business growth goals. Without further ado, here are the top three best performing blog post formats for B2B marketing. You’ve probably heard about the HubSpot report which reveals that 60% of businesses who blog acquire more customers. So how can you be sure that your blog attracts the kind of visitors who will convert into the customers you need? Well, you publish the kind of content that will bring in that niche market for you. Opinion posts, thought leader advice, curated posts – however you want to refer to them – involve solid insights from an industry professional. Opinion pieces offer real facts, practical insights and relatable advice from a trustworthy source. In a nutshell, they are less like blog posts and more like expert newspaper articles. They are personal, informative, and make readers think critically about a topic. One of the main reasons opinion posts are a top-performing blog post format is that they’re one of the more difficult formats to master. Not everyone can succinctly express their opinion on a complicated topic so competition for opinion pieces is low. But when you get it right, it’s precisely the sort of hard-hitting content inspired by personal experience that resonates with readers and drives meaningful engagement. Readers benefit by getting to formulate their own critical responses to your topic, and you benefit by enjoying a spike in traffic and aligning yourself with popular industry thought-leaders on topical issues. The results for opinion pieces speak for themselves: 13.6% times more traffic with a 1.1% conversion rate. Generally, opinion pieces need to be well-planned and can’t be put together at the drop of a hat. That’s because they’re most often responding to a trending matter in your specific niche or industry, or an exposition of a train of thought that’s related to a controversial topic. They need to be backed by research, driven by data, and written critically. Start with a story, state your argument, play devil’s advocate, offer a solution and conclude with a reference to the same story you started with. Keep focused on the issue, idea or agenda, and avoid making sweeping statements. Explain which research or firsthand experiences your opinion is based on. If it’s based on a personal experience, make sure you acknowledge the limitations of your information and/or any personal biases. Let your personality shine through, otherwise, you can hardly call it an opinion post. Expressing your opinion should never be done in a stiff, academic style: relatability is key here. In 2014, it was reported that since BuzzFeed launched in 2006, people had spent approximately 42,972 years on the site. If you don’t know, BuzzFeed is the ultimate example of the listicle blog format. While they occasionally post in other formats too, most of their content is published in these astoundingly popular listicles. A listicle or ‘list post’ is a numbered or indexed list of various items regarding a specific topic. The format has taken over the blogosphere, and many argue that it’s the most popular format for blogging today. Why is that, you ask? Because the format works darn well. It can present a lot of information in short, snappy bullets. Or it can explore a topic in depth by detailing all the different elements in a more intensive list. Plus, a listicle is, by nature, scannable – a must in today’s digital era. Listicles also provide an agile format that can be adapted to fit your specific topic, goal or writing style. Listicles can be long or short, humorous or informative, and in general offer a super opportunity for converting your visitors to leads. The listicle format is particularly useful for B2B businesses because leads are often C-suite executives who have little time on their hands to read full blog posts. What this means is that you can write on topics that they’re interested in and present the information in bulleted lists without seeming like you’ve done a half-cocked job. Another reason for the popularity and clickbait nature of this blog format is that the heading almost always clearly indicates what you’re about to read, and offers a sharp hook by including a strong claim. For instance, this blog post claims to not only talk about the best performing blog posts but promises you it’ll list the top three. That’s probably why you clicked into it, right? While the listicle format can deliver great success, it also has the greatest competition. They are what the majority of readers expect from a blog these days, and that also means that your readers can pick and choose between various list-type blogs that suit their needs. Listicles still require strong planning and a content strategy. 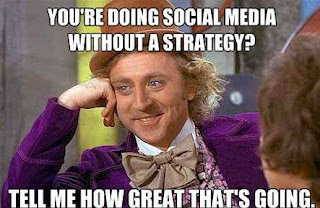 You still need a strategy to create unique content within this format and distribute it wisely. The obvious appeal of the checklist format is its interactivity. That’s what differentiates it from listicles. Readers don’t need to wait to engage with the content or test it for themselves – they can use it to complete an activity. In a nutshell, checklist posts are blogs that combine the Q&A format with the listicle format to drive engagement and help readers take the next step in the buyer’s journey. Readers can always gain something useful for themselves from a checklist post. It’s a reason for both their lower traffic and their higher conversion rate – a checklist post doesn’t cater to a clickbait heading as well as a listicle does, but its content offers more practical value to the reader. It also makes more sense as a blog format for readers who are already aware of a pain or a need that you might help them with. If you went for 5 Reasons to Revamp Your Business Wardrobe, for example, you wouldn’t be offering your readers anything they don’t already know. If you went for 5 Considerations for Revamping Your Business Wardrobe Successfully instead, you’d make it easier for them to achieve their goal. The practical approach is the clincher, not the list. The Q&A element is one factor that makes checklists superior to listicles – this format is always centered around a question that you believe your target audience is asking. It mimics the Q&A format that live presentations often offer, allowing the reader to feel personally catered to. A great way to come up with checklist blog ideas is to chat with your sales team or anyone who deals with customers directly and knows their concerns and questions. Obviously, you want to demonstrate some consistency in formatting with the types of blogs you publish, but don’t be afraid to experiment from time to time between these three top-performing options – particularly if it generates a sudden change in traffic or conversion! The most important thing to remember is that you’re publishing blog content for your readers, so use your blog performance metrics to figure out how they prefer to view your content and which format they respond most strongly to. Of course, what has worked for my agency may not necessarily work for yours. I’d love to hear about what your experiences in using opinion posts, listicles and checklists have been. Let me know in the comments below. Guest Author: Brad Harris is a digital content strategist at Struto, an agency who provide digital marketing services in the UK. For over four years, he’s worked across journalism, publishing and digital marketing. He loves exploring anything and everything about creative content creation, but needs hard data to back up his conjectures. The post The 3 Best Performing Blog Post Formats For B2B Marketers appeared first on Jeffbullas's Blog.